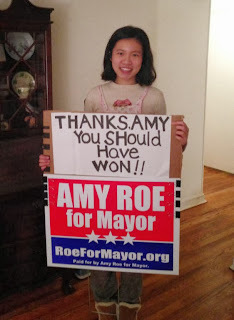 By Amy Roe, Wed 11/27 -- I would like to share my reflections on yesterday's election in Newark. It is appropriate that tomorrow is Thanksgiving as I have a lot to be thankful for. My husband of 18 years was a constant source of affection and encouragement. He never complained that he had to forage for cheese and crackers on the many nights when I was on the campaign trail. My campaign team and volunteers have become some of my very dearest friends. I am so very grateful for the dozens of neighbors who braved the cold, wind and rain to share our positive message. I have witnessed the power of community and I am both impressed and humbled by it. 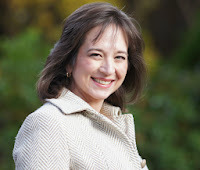 Many neighbors, friends and family members donated to my campaign. I know times are tough, especially as the holidays approach, and I am grateful. Many also donated their time, which is often a much more precious resource. I am honored to have been your candidate. We lost this election by only 3% of the vote in a 7-way race, for which I am very proud. We had very high ethical standards for our campaign and focused our efforts on engaging the issues, respecting other candidates, sharing our vision for the future and offering specific alternatives to improve city affairs. I am proud that we ran an honorable campaign. While at the polls an elected official who endorsed another candidate congratulated me for “taking the high road”. If he knew my father he would have known there was no other option. I have never been prouder to be a Newark resident; to be one of my neighbors. Our future is full of opportunity and we have proven that we can pull together to improve our town. I am so thankful that we have each other and that we are a community of thoughtful and respectful individuals who value the process and support each other. We confront our challenges with knowledge and we learn from experience. I look forward to working with you in the near future. 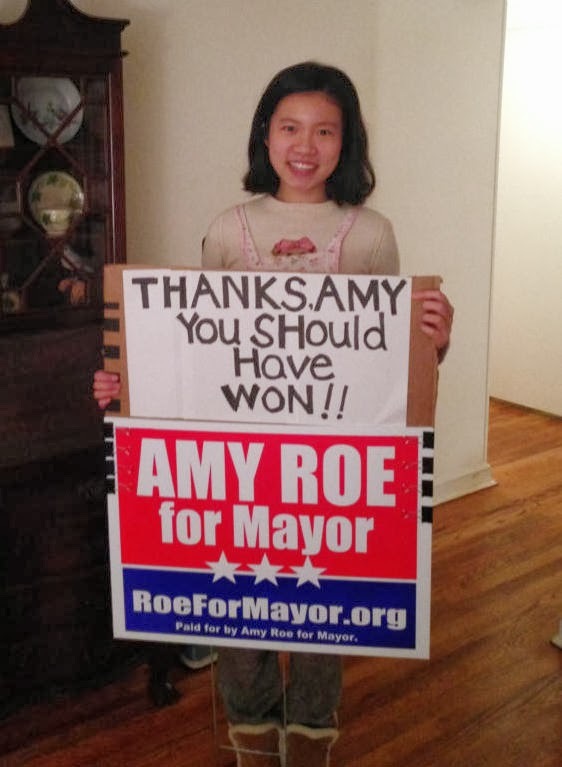 Poster's note: Amy is a class act and too good for Newark, apparently. The City may never again have an opportunity to elect a more qualified and caring individual, one of a rare few who puts environment and quality of life ahead of profit making. A letter of congratulations will be sent to Polly Sierer from Delaware Bikes, along with an invitation to join us in making Newark more bicycle friendly.